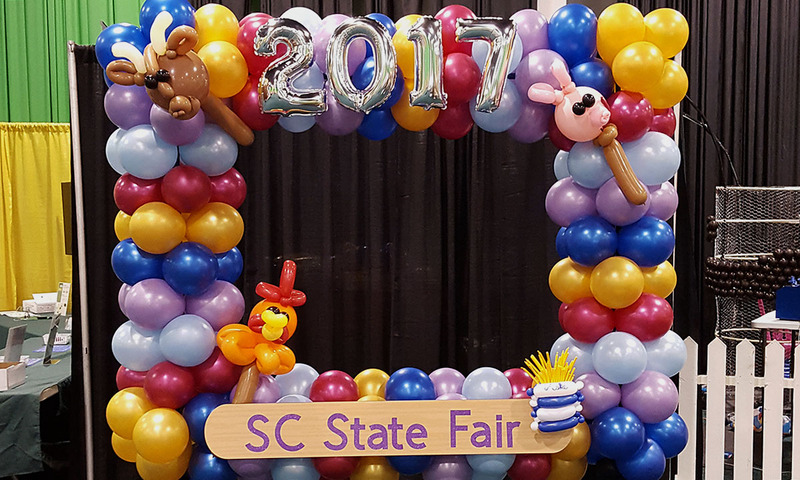 2017 was the first year the SC State Fair had a balloon photo frame available, and the response was incredible! Many fairgoers eagerly lined up to take pictures of their friends and loved ones. These days taking pictures has never been easier. Practically everyone carries a phone with them all the time, which is why photo frames have become so popular. Who can resist snapping a happy shot and then posting the result? 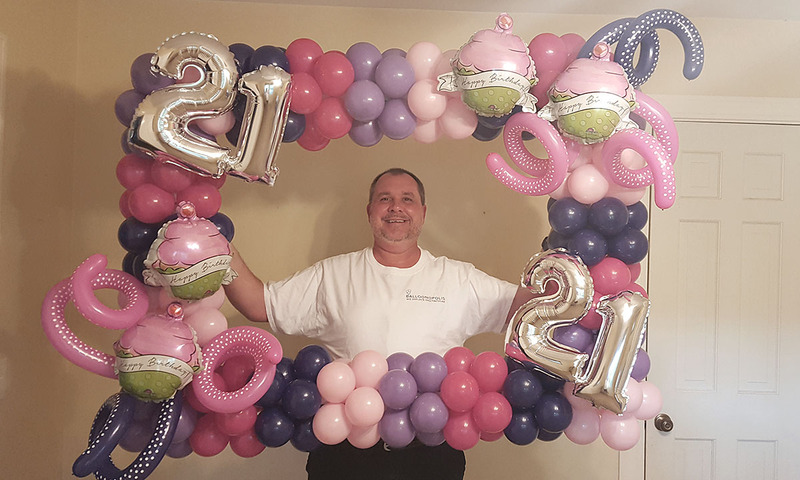 So why not give your guests the opportunity to make that happen at your event with one of our distinctive balloon photo frames or selfie stations. Your guests will love you for it! Balloon Photo Frames Are Eye-catching! 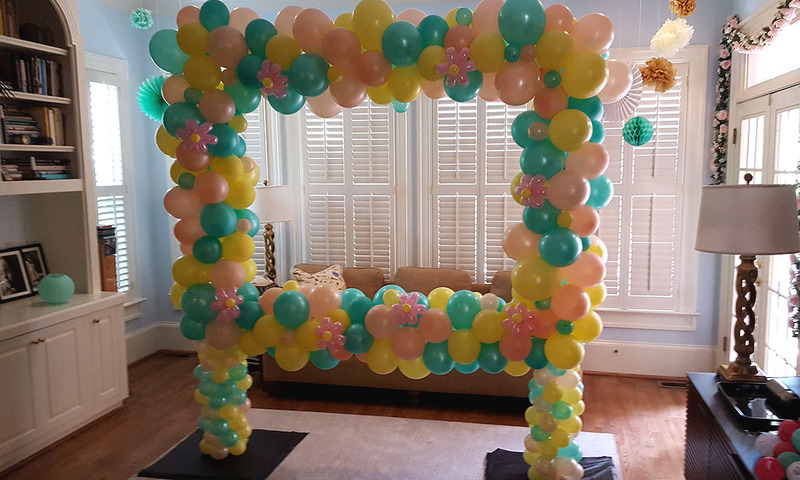 Since our photo frames are made of balloons, we can create them to coordinate with your event’s color, theme or décor. We can add special figures, numbers or letters, or even the name of your event or organization, so that your guests will remember where they had such a good time. Balloon Photo Frames Are Easy! Part of the beauty of photo frames is that all you have to do is tell us what you want. We’ll design, build, and set it up where you want it. Then your guests will do the rest, and enjoy it throughout your event. Balloon Photo Frames Are Customizable! Photo frames are free standing, and can be made to almost any size. Selfie Stations are about 2ft x 3ft and fitted with handles so they can be held easily. 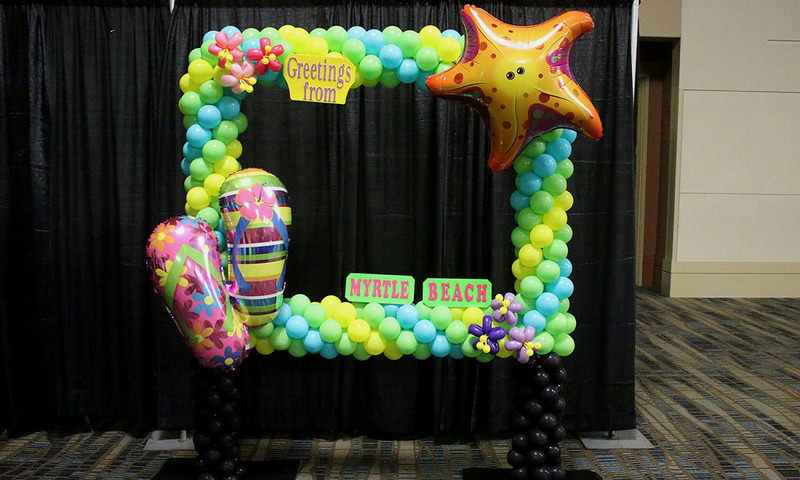 Call or text 803.386.1543, or fill out our contact form, to find out how Balloonopolis can help you make a lasting impression with all your guests.